If you faced a character problem in Category Titles in Blog Site Template for different language , may be this article helps you. 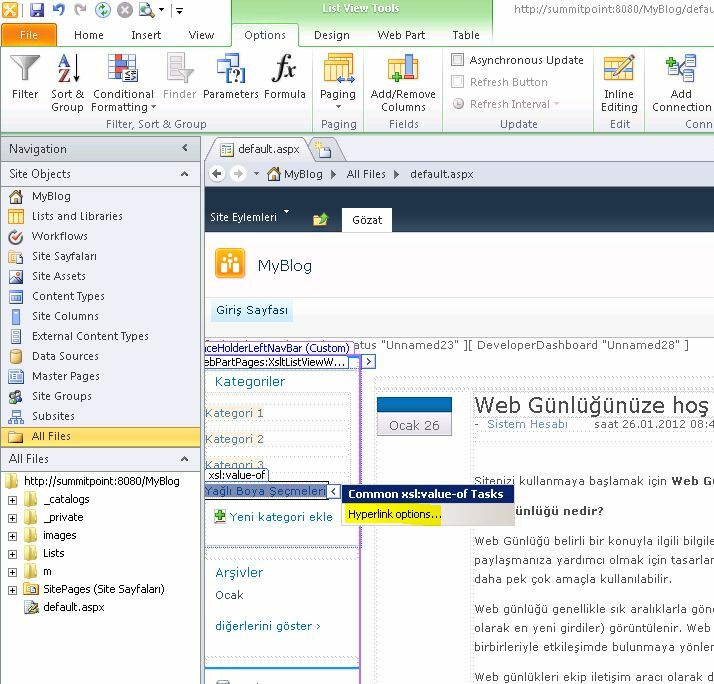 In my envoriment i am using Turkish Language Pack (1055) . the repro is not tested on other languages but it should be occurs for other languages which is contains specific characters . I think this problem is a minor bug .You can reproduce it easily . 1) Install or find SPS2010 + SP1Dec2011 CU + TR(1055) language pack installed machine. 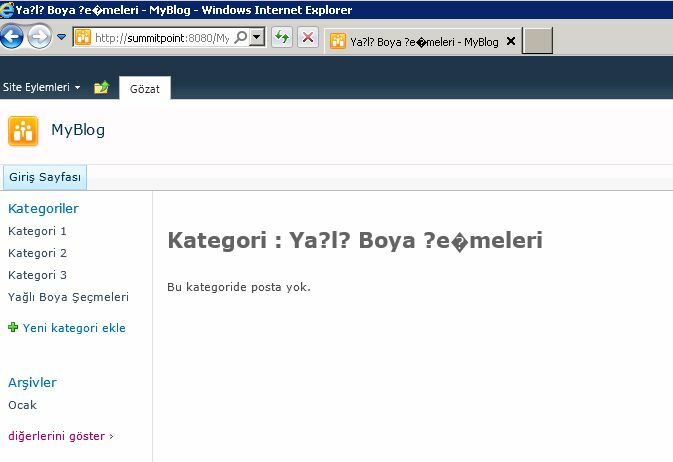 4) Add some categories that contains Turkish Characters. 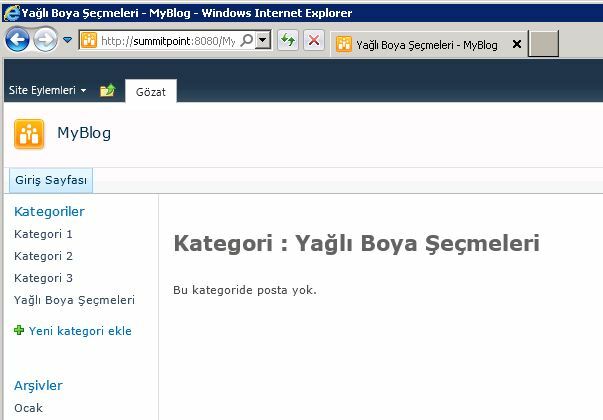 I have created a category named : “Yağlı Boya Seçmeleri” You can see the problem bellowed screenshot. 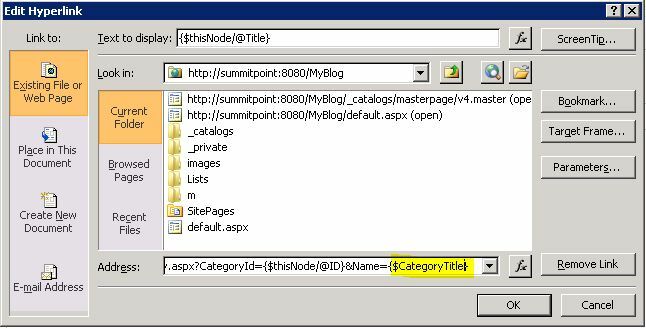 The problem is when rendering left panel Categories web part (XSTLListView) not encode url of Link object correctly. I have tested with changing the link in browser’s address bar with correct encoding the titiles shown correctly on category page. So There is a workaround for fixing this issue with using Sharepoint Designer 2010 . 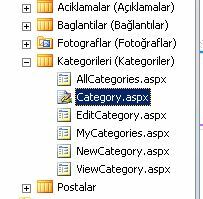 1) Open defauılt aspx and (any needed page) in Sharepoint Designer. 3) Click the HyperLinkOptions button. 5) Repeat same options for all needed pages.